Product #60501 | SKU RE112901 | 0.0 (no ratings yet) Thanks for your rating! The camera plate is dual compatible with Manfrotto RC2 and Arca-type quick release systems. 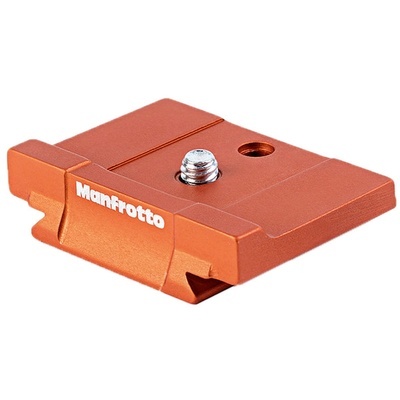 The bright orange Manfrotto Quick Release Plate for Sony Alpha a9 and a7 Series Cameras matches the details and trim of these cameras, and it is designed with an anti-twist lip to prevent the camera from moving while mounted to the plate. The camera plate is dual compatible with Manfrotto RC2 and Arca-type quick release systems.